Meet the seasoned leaders who made TO THE NEW possible. Deepak is the CEO at TO THE NEW. He is responsible for creation and execution of business strategy and spearheading growth. He is a known speaker, a book author, mentor, a people-first leader and has a knack of simplifying the most complex problem. Deepak was also a co-founder of IntelliGrape Software. Narinder leads the Technology Services at TO THE NEW. 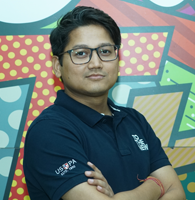 He is a strong proponent of Agile methodologies and is a Certified Scrum Master(CSM), Product Owner (CSPO), Certified Trainer for CSD (Certified Scrum Developer), Cloudera certified Apache Hadoop Developer and Data Analyst. He was also a co-founder of Inphina Technologies. Raman leads Inside Sales and Marketing at TO THE NEW. A highly analytics and numbers driven person, he has mastered the art and science of driving sales through digital marketing and inside sales. He was a co-founder of IntelliGrape and played an instrumental role in making it a global technology player. Satya leads HR and Recruitment at TO THE NEW. He is a master at hiring the "right" talent and has played a key role in setting up and flourishing people-friendly culture at the company. Satya with his extensive experience in the field of Human Resources manages all matters related to our most precious resource i.e. our talent. Sidharth leads one of the practice units at TO THE NEW. He has over 14 years of experience in conceptualization and management of portfolios of complex, multi-disciplinary software development programs. 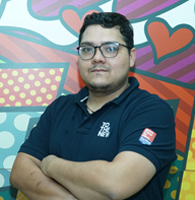 He comes with a strong technical background, extensive hands-on experience in Internet and web technologies and a unique ability to manage mid to large, multi-cultural teams across borders for offshore and outsourced business. Gopesh has a strong experience in implementating large scale technology projects in all facets of IT management including PMO, requirements management, estimating, development, quality assurance, release management, vendor management, infrastructure, and budget. Gopesh has delivered many successful projects at TO THE NEW in varied domains such as Travel, Leasing, ECommerce, Healthcare Insurance and Government. 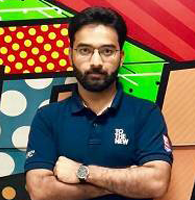 Aman heads DevOps & Security Practice at TO THE NEW and is one of the oldest team member in the technology service line. Leveraging his wide business acumen & technical skills, he has led and delivered many successful projects at TO THE NEW. He is also an AWS Certified Professional Architect and Certified Scrum Master. Prior to heading DevOps team, he led the implementation & delivery of several projects built on Groovy & Grails stack. 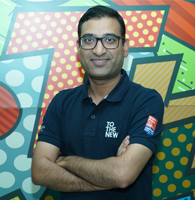 At TO THE NEW, Divyanshu manages a delivery unit that builds innovative and viable enterprise digital solutions to solve pressing problems in multiple sectors across the globe. Leveraging his extensive experience in content driven applications, he has ensured smoother and timely deliveries across the board with highest client satisfaction and repeat business. Ashish leads the AMC Practice at TO THE NEW. 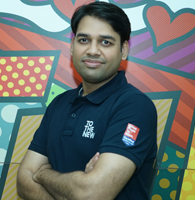 With a deep Insurance and AMC Industry experience, Ashish is mostly engaged in architecting engaging and contextual applications using Adobe Experience Manager product suite. As a practice head at TO THE NEW, Ashish's core responsibilities includes strategizing insurance industry projects, end to end implementation and managing P&Ls. 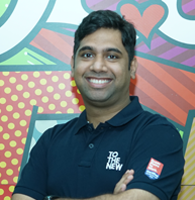 Akhil leads the delivery of Video OTT Fulfillment services at TO THE NEW. 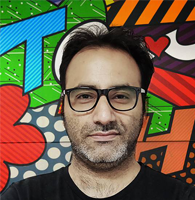 With over 7 years of experience in the media and entertainment industry, he has helped many large media companies with content optimization and delivery across the world. 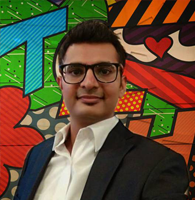 Naman is leading the sales & solutions activities for the US region at TO THE NEW and has worked very closely with various US-based internet product companies / ISVs including numerous Silicon Valley start-ups helping them at different stages of their product development. He has a software engineering background and is always interested in exploring new and cutting edge technologies. 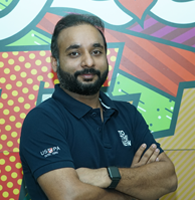 He has helped enterprises with various facets of product engineering including Design & Development of Web/Mobile/TV Applications, DevOps Automation, Independent Testing, Cloud & Big Data Engineering, and Blockchain Implementations. Raghav spearheads business development initiatives for ANZ at TO THE NEW. He has 17 years of overall industry experience with great understanding in cross culture communication and the gaps between businesses needs and technology. 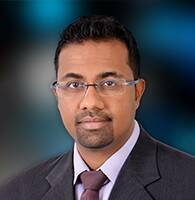 Ajesh spearheads business development initiatives and sales initiatives for Middle east region at TO THE NEW. He has over 12 years of overall industry experience with great understanding in cross culture communication and the gaps between businesses needs and technology. 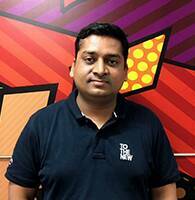 Ashish leads the business development and sales for the VDMA (Video OTT Fulfilment and Digital Marketing) business unit at TO THE NEW. He brings across a rich experience in Sales, Marketing, Business Development and Delivery Management with a strong focus on building long term client relationships. 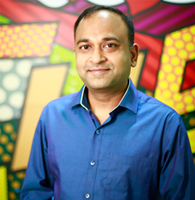 Ashish holds a Bachelor’s degree in Information Technology and an MBA from IIM Ranchi. 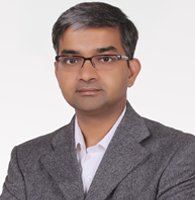 Nitin has more than 13 years of experience into sales and business development. 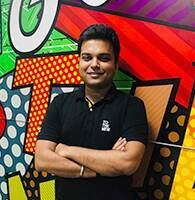 He carries an extensive experience in creating and executing successful Go-to-Market strategies, consulting and conceptualizing relevant online as well as offline marketing and engagement solutions for large brands and enterprises in India. 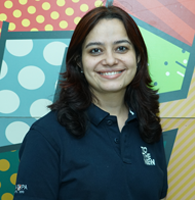 Gayatri leads the delivery of Digital Marketing business unit at TO THE NEW. She has extensive experience in crafting digital strategies that focus on multiple aspects across social media marketing, digital storytelling, content marketing, marketing automation and more. Gayatri is an ambitious leader and passionate marketer full of energy. 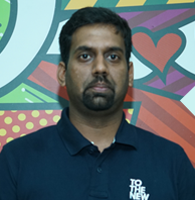 Jethro heads the Southeast Asia offices of TO THE NEW, and manages the company's comprehensive digital services to the region. Jethro has worked with a wide variety of clients from all across the globe, providing marketing services which run the gamut from creative-driven content marketing and growth hacking, to data-driven marketing automation and marketing analytics. Kinshuk heads the Analytics division at TO THE NEW. 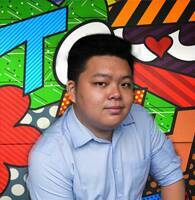 He is a passionate marketing technologist and comes with a blend of client-side and agency-side experience. Being passionate about all things digital, he has contributed to various projects at TO THE NEW. He has also been a contributor to some of the leading martech journals and blogs. 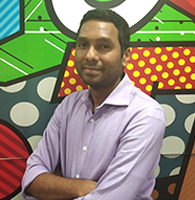 Leading the finance team, Pallav is responsible for the delivery of financial services such as accounting, treasury, reporting, budgeting for India, Singapore and South East Asia entities. He works closely with the CEO of the company to implement TO THE NEW's vision and strategies. He is a technology enthusiast and focuses on business technology integration. 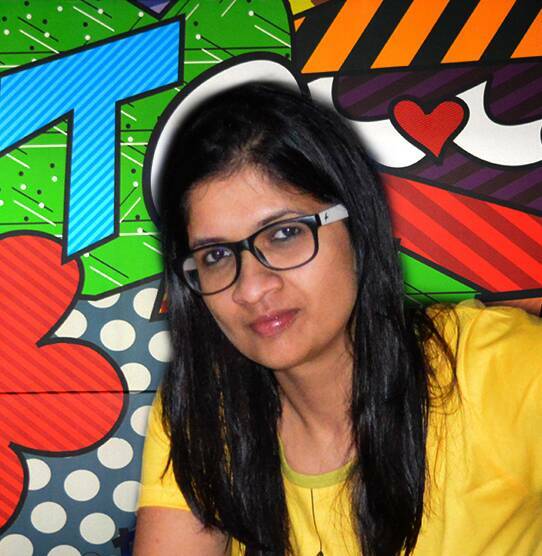 Charu leads the Talent Acquisition team at TO THE NEW. She has a great acumen in picking the right talent for the right job. 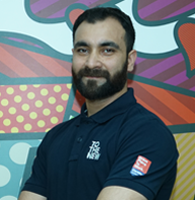 Apart from recruitment Charu is a dynamic professional with over 10 years of experience in new Business Acquisition, Key Account Growth, Customer Retention & Customer Service, Candidate Acquisition, Database & Development. 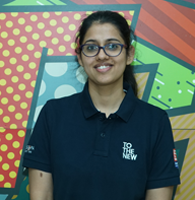 Kirti leads the talent management team at TO THE NEW. Apart from playing a pivotal role in setting up and improving HR processes, Kirti has also been driving the HR digital transformation journey. Kirti comes with an experience of over 8 years in driving new HR initiatives wrt setting up HR Function for start-ups, devising performance management strategies and leading ERP implementation. Deepak leads IT & Administration at TO THE NEW and specializes in IT Infrastructure set-up, procurement, facility management and travel. A jack of all, he’s been instrumental in setting-up of new facilities in record time, just-in-time procurement and managing day-to-day office administration for a growing people base.